Manufacturing of Methamphetamine and/or possession of chemicals for drug manufacturing, such as Ephedrine or Pseudoephedrine. Houston Criminal Lawyer John T. Floyd III is an experienced criminal defense attorney dedicated to defending individuals and businesses accused of committing serious Drug Crimes in all State and Federal Criminal Courts in Houston, throughout the State of Texas and the United States. As an experienced criminal defense lawyer, John T. Floyd's practice is dedicated exclusively to criminal defense work protecting the rights, privacy, and dignity of businesses and individuals suspected or accused of committing serious drug crimes. 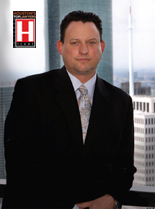 Criminal Defense Lawyer John T. Floyd proudly represents clients charged with serious drug offenses before State and Federal courts in Houston, Galveston, Richmond, Angleton, Beaumont, Austin, San Antonio, Waco, Dallas, Ft. Worth, Tyler, Sherman, Del Rio, Corpus Christi, Brownsville, Mc Allen, El Paso, and all counties throughout the State of Texas. Our primary office is located on the 70th floor of the JPMorgan Chase Tower in Houston, Texas; however, Mr. Floyd often travels to Criminal Courts across the State of Texas, as well as, Federal Criminal Courts across the United States. Nothing, other that the Government’s "War on Terror," rivals the budget and man-power as its "War on Drugs." With thousands of law enforcement officers ranging from the local sheriff all the way to the FBI, the government makes more arrest for drug related crimes than for any other category of criminal offense. Investigations into drug trafficking and related crimes are often long term and can involve hundreds of potential targets, seizures and arrest. Because of the extreme range of punishment for drug crimes, with possible exposure to life in prison, and the often dirty investigation techniques used by law enforcement in these investigations, it is urgent that if you believe you or someone you care for in a target of an investigation, that you contact a experienced criminal defense lawyer immediately. Law enforcement officers from FBI, DEA, ICE, IRS, ATF and members of local Drug Enforcement Task Forces often arrest and interrogate suspects and make promises of leniency in return for cooperating with their investigation. However, NONE of these law enforcement officials have the legal authority to make legally binding agreement. Therefore, cooperating suspects normally do nothing helpful for themselves and usually only end up hurting themselves and those they implicate. Cooperating with law enforcement officials without a binding agreement amounts to nothing more than a confession and often directly exposes the informant to the full range of punishment. Do not speak with any law enforcement official without the presence of a lawyer. Federal, State, and local agencies share responsibility for enforcing the Nation's drug laws, although most arrests are made by State and local authorities. In 2004 the Federal Bureau of Investigation's Uniform Crime Reports (UCR) estimated that there were 1,745,712 State and local arrests for drug abuse violations in the United States. However, Drug prosecutions have comprised an increasing proportion of the Federal criminal caseload, rising to nearly 40%. There are thousands of highly committed and experienced, federal, state and local law enforcement officials engaged in drug investigations. At the federal level, the FBI, DEA, ICE, IRS, ATF, and U.S. Coast Guard are all involved in the "war" on drugs. The Organized Crime Drug Enforcement Task Force (OCDETF) is a federal drug enforcement program that focuses attention and resources on the disruption and dismantling of major drug trafficking organizations. OCDETF provides a framework for federal, state, and local law enforcement agencies to work together to target well-established and complex organizations that direct, finance, or engage in illegal narcotics trafficking and related crimes. (Related crimes include money laundering and tax violations, public corruption, illegal immigration, weapons violations, and violent crimes.) The program has been in existence since 1982 and operates under the guidance and oversight of the Attorney General. Utilizing its resources and expertise of its 11 member federal agencies, along with support from its state and local law enforcement partners, OCDETF has contributed to the prosecution and conviction of more than 44,000 members of criminal organizations and resulted in the seizure of cash and property assets totaling more than $3.0 billion. The Executive Office for OCDETF supports the work of over 2,500 federal agents and prosecutors and approximately 6,000 state and local law enforcement officers who participate in OCDETF cases. Prison sentences imposed increased from an average of 55.1 months during 1988 to 58.7 months during 2003. For drug offenses, prison sentences increased from an average of 71.3 months to 81.4 months; for weapons offenses, sentences imposed increased from 52.3 months to 83.7 months. Under the Sentencing Reform Act, defendants are required to serve at least 87% of the prison sentence imposed. Approximately 92% of drug defendants adjudicated in Federal Court during 2003 were convicted. Twenty-eight percent of convicted Federal drug defendants received a reduced sentence for providing substantial assistance to prosecutors.